Florida motorcycle accidents caused nearly 500 deaths in 2013, states the National Highway Transportation Safety Administration. There were 478 motorcycle fatalities in 2014, as well. 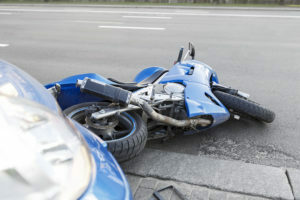 Head-On Accidents: When two motorcycles collide straight on, a head-on impact has occurred. Veering off into oncoming traffic is one of the biggest reasons that head-on accidents occur. With the rider already being so exposed, it’s easy to understand why this could result in major injuries or even death. It is a very common accident, and tends to occur more often than rear-end collisions. Avoiding a head-on collision by making sudden maneuvers can still cause an accident due to a loss of control. Left-Hand Turns Made By Cars: Cars making a left-hand turn in front of a motorcycle accounts for 42% of all fatal motorcycle accidents, reports National Highway Traffic Safety Association. Florida motorcycle operators need to pay close attention when approaching a left-turning vehicle to avoid a collision, especially near an intersection. Lane Splitting: Lane-splitting is another common cause of motorcycle accidents, and happens when a rider shares a lane with another rider or drives between lanes of traffic. This practice is illegal in Florida, however many motorcyclists still do it. High-Performance Motorcycles: Accidents with high-performance motorcycles are often more common than those with a standard bike. If you or a loved one were involved in a motorcycle accident, it is important to speak to an experienced Ocala motorcycle accident attorney at Meldon Law to determine if anyone is liable for your injuries and damages. Motorcycle crashes often times cause serious injuries or even permanent disabilities and you need someone who can protect your rights. Call our office today for a free consultation at (352) 629-5700 or (800) 373-8000 or use our online form.